Halloween? I thought it was taken just after you woke up from an emu nightmare! Haha, it's a similar haunted face that says "you will not get my rootz, emus!" yeah i wear this damn green sweater all the time so i made my avatar with it. haha...I wish i could find the pic of my Mii it looked just like me as well. This is me, thrilled to be working. And, being king of the dorks, this is me taking on my 5 yr old at Halloween. 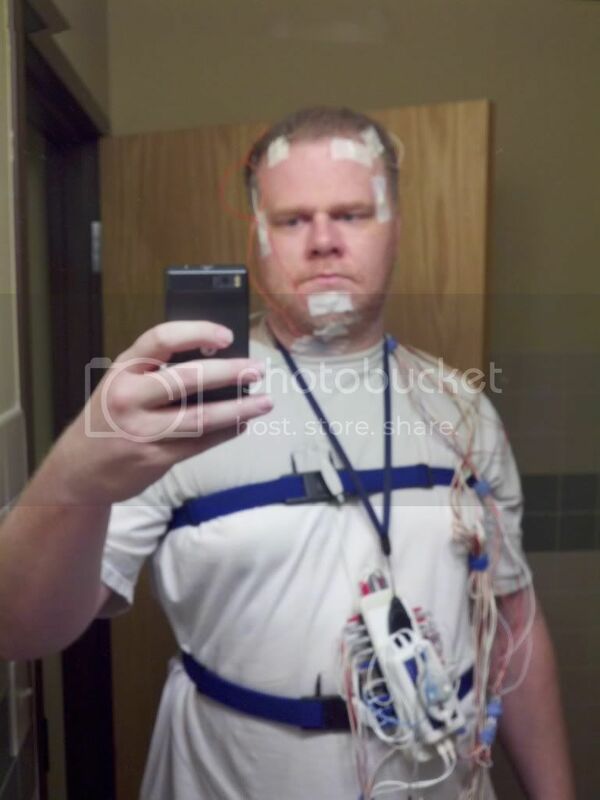 At the sleep study center. I am a scotch man my self. Give me some Glenlivet and ill be happy. If you like Scotch ya gotta give MaCallan a try! 12 year old is what I usually drink, but when I'm splurging I break out the 18 year old MaCallan Scotch! Yes, I realize speling is a chalunge for sum of us...I am inkluded in that grup, so pleze fourgiv me. Gotta say frankie.....you're one hot dude!!! I have a promo pic too! Great pics everyone. Keep em coming! It's definitely good to see who's who.